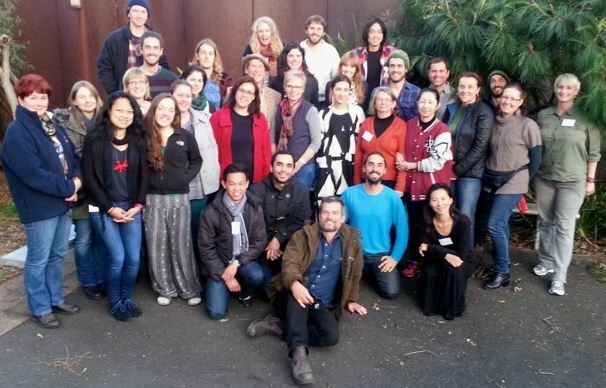 What is Permaculture Power? I have always wanted to support the Permaculture movement and this is how I can do it. I have set up this website to share with you all the information that I have found useful as a permaculturist and that I think would be of value to others for their own work. I hope you enjoy the site and keep coming back for more as I will regularly update the site with more information and links for your reference. For a detailed description see link. For a fact sheet go here. I do not want to claim credit for all of the material on this website. The information gathered here is always linked to the source. Please give credit to the owner of the original material when using their information. David Power is a certified permaculture designer and he is passionate about sharing his knowledge with others. In 2009, he built a blog Permaculture Power. Since its inception, it has had over 200,000 hits and provides useful links to permaculture related resources that are found online. This online resource has helped people all around the globe. David has had the good fortune to have studied with the world’s best teachers including the founders of permaculture Bill Mollison and David Holmgren as well as the director of the Permaculture Institute of Australia, Geoff Lawton. David’s field experience includes time on both Geoff Lawton’s property in The Channon and Bill Mollison’s property in Tasmania. In addition to these practical experiences, he went on to do further study with the well respected permaculture teacher, Rosemary Morrow, who awarded David an advanced teacher training certificate.